The COMBO Squonk RDTA is the first RDTA innovative atomizer with Squonk pin to work with any Squonk MOD, easy to wick and leak-proof design. 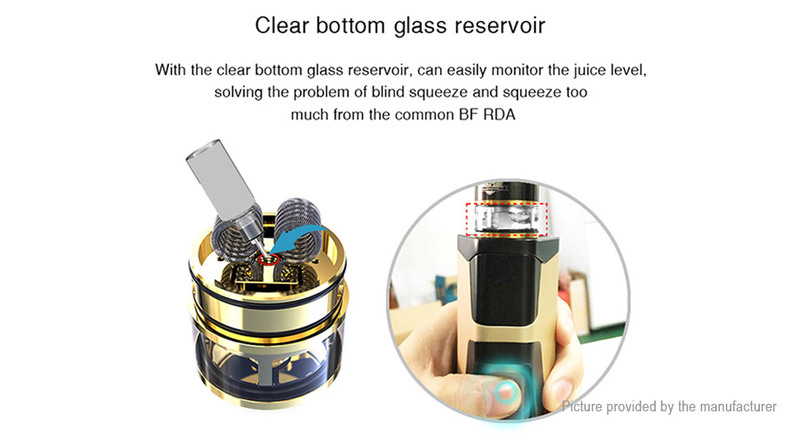 With the clear bottom glass reservoir, can easily monitor the juice level, solving the problem of blind squeeze and squeeze too much from the common BF RDA. 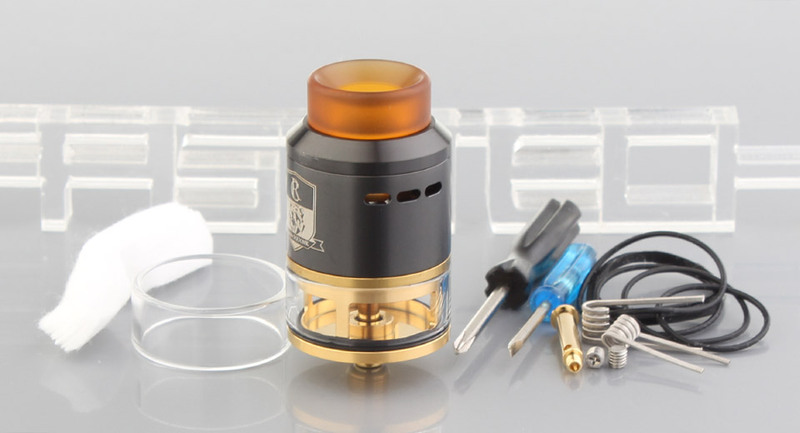 The squonk pin can be replaced to the normal pin, filling from the top with convenient and quick. 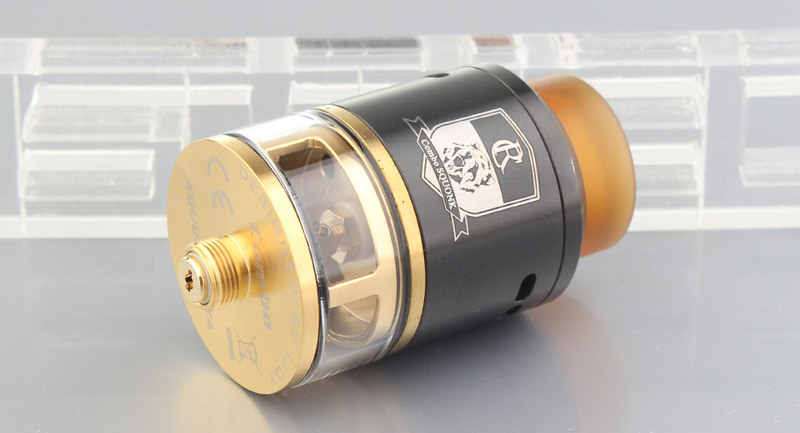 Postless gold plated deck suitable for both single coil build and dual coil build. 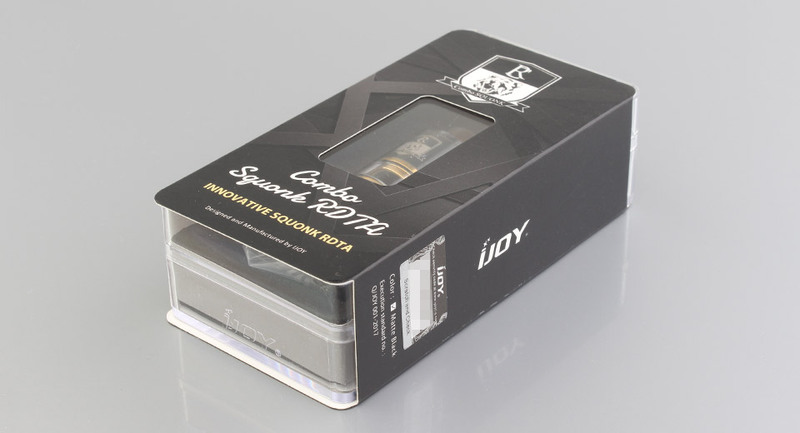 Side airflow control with 6 inhale holes, direct to the coils, brings you cloud vapor and good flavor. 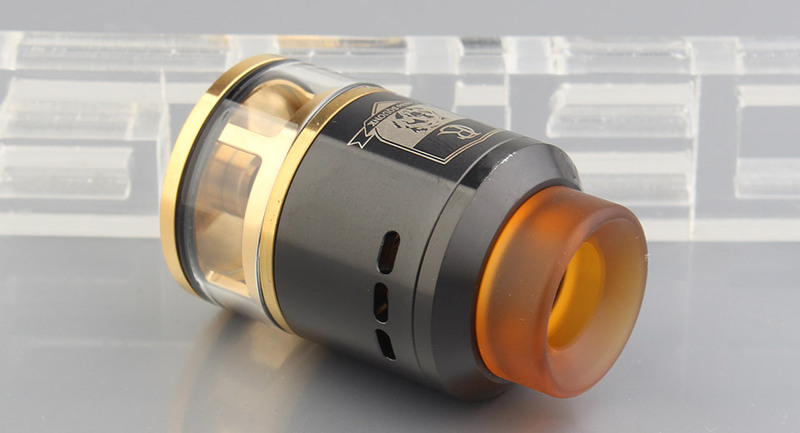 4ml / stainless steel + glass / 24.2mm dia. 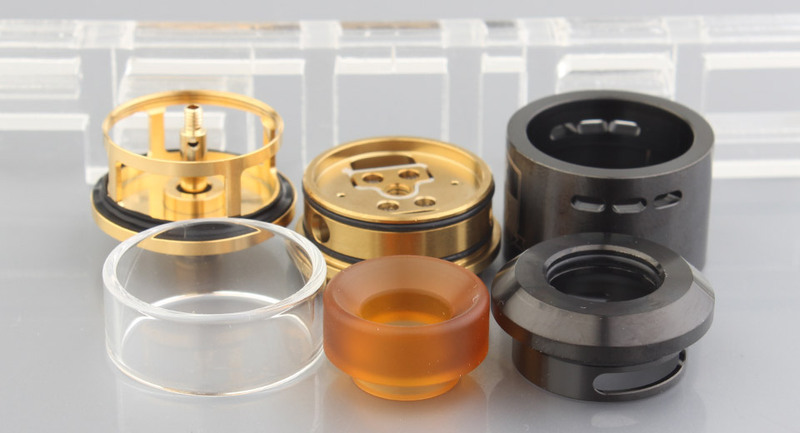 5ml / 304 stainless steel + glass / 24mm dia.